Usually, I try to update my blogs on Fridays. 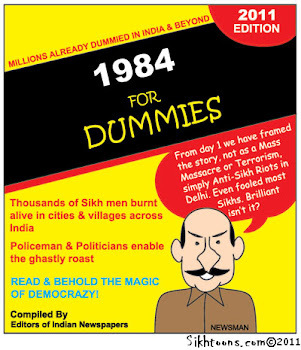 This includes checking out the latest Sikhtoon. 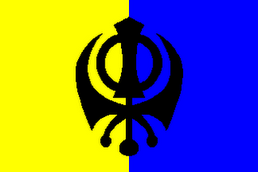 (I love Sikhtoons. Don't you?) Today is Thursday and I just felt like not doing my usual Thursday stuff and checked it out early. 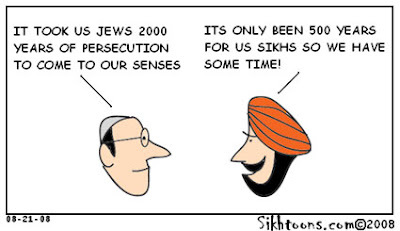 I found a wonderful 'toon about the first turbaned US commercial pilot - A KAUR! Arpinder Kaur! (See the usual Sikhtoon on the sidebar) This left me overjoyed, of course. I love turbans. I love Kaurs. I really love turbans on Kaurs. And when that Kaur is flying...YIPPEE!!! And getting paid for it...YIPPEE!! YIPPEEEEEEE!!!!! I guess you are gentler and kinder than am I. I enjoy jabbing those fools in Amritsar and all those who want to - or have - hurt the Sikh people, including the government of 'the world's largest democracy.' I say ridicule those who have earned ridicule. Sikhtoons often also congratlate Sikhs on jobs well-done, too. But yours is the higher, more spiritual approach. :) I'll catch up someday. Each of us is where s/he is.